The bathroom, one of the most relaxing and indulgent rooms of the house, or, at least, it’s supposed to be. 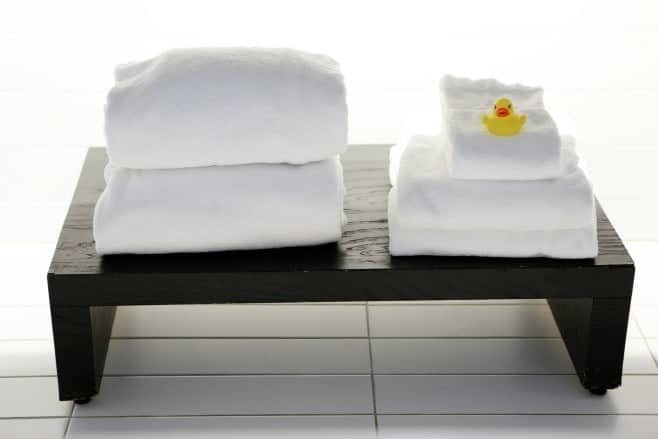 It is sometimes hard, however, to create that calm atmosphere when your sharing a bath with the rubber ducks and dodging the many different types of shampoo’s and shower gels. If you’re considering adding an en-suite or shower room to your home then look no further, here are a few tips on how to do so in a cost-efficient way, creating yourself your very own little sanctuary. The hardest part to the designing of your dream en-suite is choosing the theme. This is key as it will be the main element in how your en-suite makes you feel. Going for a simple theme of creams and whites, with darker brown features for the doors and window frames will create a relaxing, calming atmosphere that will help you wind down. You could, however, go for a bolder theme of light colours such as blues and whites, this will create a bright and fresh atmosphere giving you that refreshed feeling. Next step is choosing your en-suite pieces. This can be quite difficult as there are so many out there to choose from. The best thing to do is to shop around, find what’s best for you and your daily routines. For example, if you’re the kind of person who showers every morning and evening but only bathes once a week you’re probably better going for a larger shower and an average sized bath. Whereas if you’re the type of person who only enjoys taking a nice relaxing bath then you could consider a larger bath suite, why not look into the different types of baths available, there’s so many from whirlpool to Jacuzzi styles. It really Is all down to you and your personal style. You’re usually best shopping around for plumbers merchants in order to get yourself the best price on the market. Now that you’ve decided on your en-suite and theme it’s time to look at lighting. Lighting is just as important as your colour scheme when It comes to creating a calm and relaxing atmosphere. Think about the mood you wish to set, are you wanting to create a nice ambience? If so, then you’re probably best looking around for mood lighting. Mood lighting is great for being able to change the brightness of the lighting using a dimming switch. If you’re sticking with the brighter scheme, then you can find great lighting solutions on the market at great prices. Finally, you can now start shopping around for your bathroom accessories. This is definitely the most exciting part. Your chosen accessories will be key in ensuring you get the most from your new en-suite. Think about adding some simplistic items such as candles or fragrances, these will help bring the whole design together and create the calm, relaxing atmosphere that you want.